As in, it’s not going away? 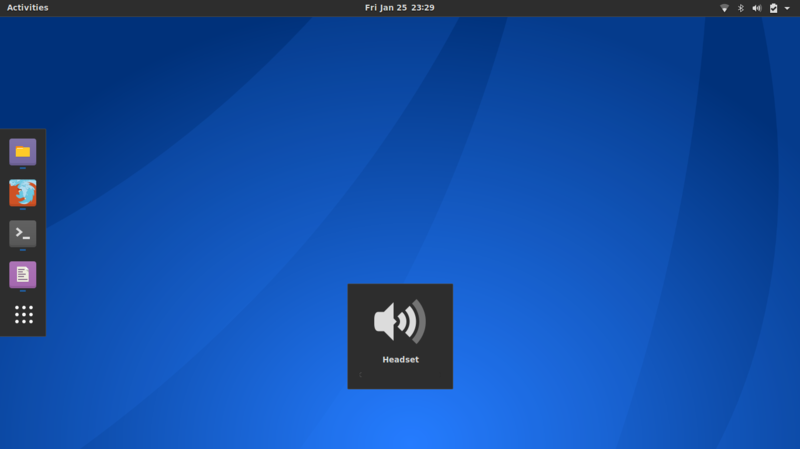 Have you tried reloading Gnome? You can do that by either pressing Alt-F2 and entering “r” in the dialogue, logging off/back on, or rebooting. @TaraF I am pretty sure there is supposed to a bar under the sound icon that moves when you adjust the volume. Depending on what theme you’re using, yes. Some themes don’t have it.